NorthLink WA road will provide a non-stop transport route between Morley and Muchea. Image courtesy of CPB Contractors Pty Limited. The NorthLink WA project involves construction of three sections namely southern, central and northern. Image courtesy of APP. The project will improve traffic flow by reducing congestion and minimising travel times. Image courtesy of BGC Contracting Pty Ltd. Currently under construction in Perth, Western Australia, NorthLink WA will provide a continuous transport link between Morley and Muchea. The project will cater to the projected increased traffic associated with the growth in the population of Perth to 3.5 million. It will improve traffic flow by reducing congestion and travel times. Managed by Main Roads Western Australia, the $1.12bn project will also provide productivity benefits to the economy and the industry by improving regional traffic movements to the commercial and industrial areas of Malaga, Kewdale, Perth Airport and the Perth central business district (CBD). Upon completion in mid-2019, NorthLink WA is expected to take the pressure off the Great Northern Highway by receiving approximately 80% of the heavy vehicle traffic. NorthLink WA has been in the development phase since May 2014. The project development phase from June 2014 to early-2016 included a range of works such as planning for the route, consultation with communities, businesses and environmental groups, obtaining approvals, and establishing the scope of works. Construction of the road has been divided into three sections, namely southern, central and northern. 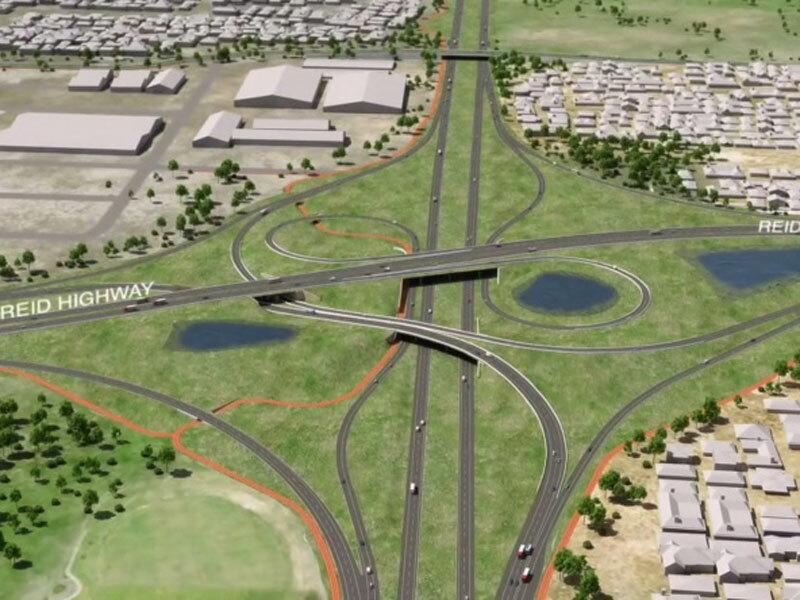 The southern section involves the construction of a freeway-standard, free-flowing link from Collier Road to Reid Highway through Tonkin highway. It will also include construction of new pedestrian and cycling facilities, including a 4m-wide shared path along Tonkin Highway. "NorthLink WA is expected to take the pressure off the Great Northern Highway by receiving approximately 80% of the heavy vehicle traffic." 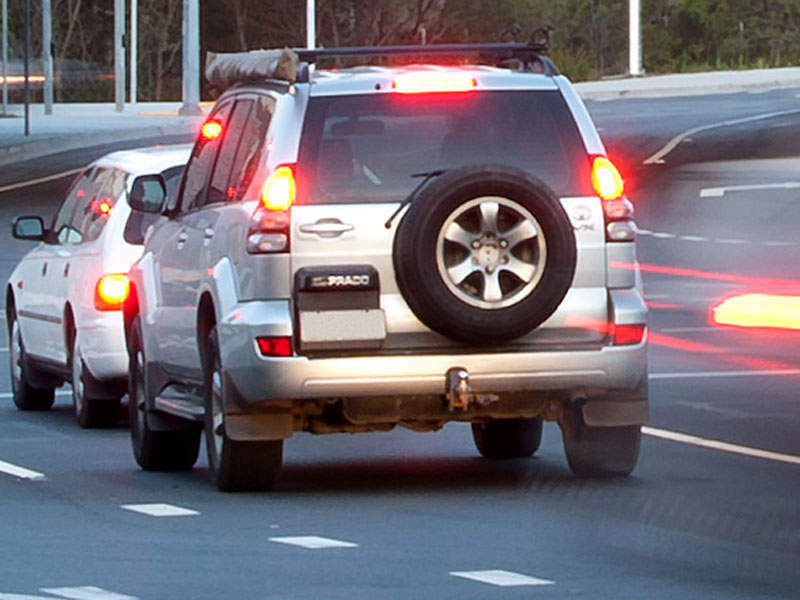 Construction on the central section will develop a free-flowing road from Reid Highway to Ellenbrook, and enhance access to Ellenbrook and the surrounding suburbs. It will also include the removal of four dangerous intersections located at Reid Highway, Tonkin Highway, Hepburn Avenue, and Gnangara Road. 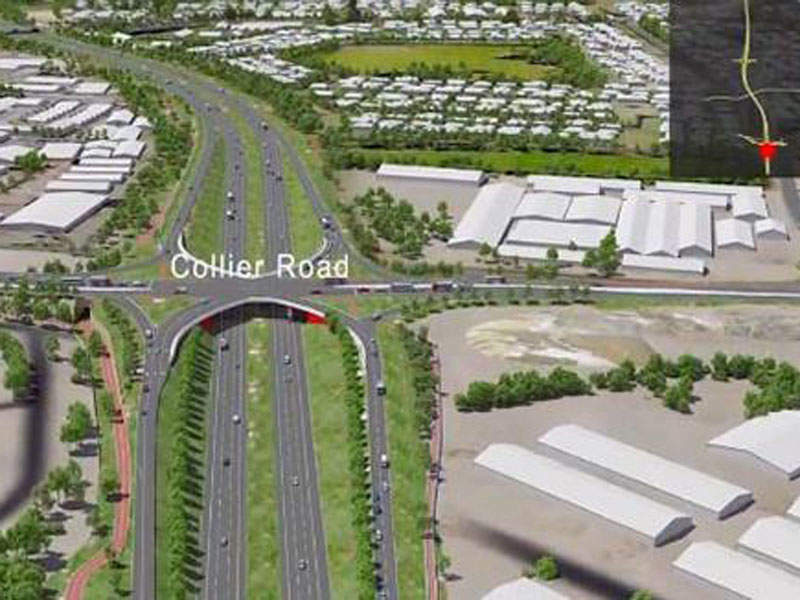 A 4m-wide shared cycling and pedestrian track to Ellenbrook will also be added in the section. The northern section will involve the construction of a free-flowing dual-carriageway between Ellenbrook and Muchea, creating four lanes on the section of the national highway. Interchanges will be built at Stock Road, Neaves Road and Brand Highway. Construction works on the first stage of the southern section of the project between Guildford Road and Reid Highway commenced in June 2016 and are expected to be completed by early-2018. The central section construction work from Reid Highway to Ellenbrook is expected to commence in 2017 and will be completed by mid-2019. The northern section construction starting from Ellenbrook to Muchea will begin in the second half of 2017 and will be completed by mid-2019. John Holland was awarded a contract for stage one of the NorthLink WA project in January 2016. The company will construct new bridged interchanges at the intersections of Collier Road and Morley Drive, a flyover at Benara Road and an upgraded section of Tonkin Highway north of Guildford Road. APP and Arcadis were respectively appointed as an independent certifier for the NorthLink WA southern section design and construct contract in February 2016. The Great Northern Connect (GNC) joint venture consisting of BGC Contracting and Laing O’Rourke Australia Construction was awarded a $417m construction contract for the central section of the project in June 2016. CPB Contractors were awarded the third contract of NorthLink WA worth $175m in January 2017. The contractual scope includes design and construction of the northern section from Ellenbrook to Muchea. The Australian and Western Australian Governments are collectively providing more than $1.1bn in financing towards the project. COWI is a leading international consulting group and specialist in road engineering. Our highly professional employees are committed to developing efficient and innovative solutions within multidisciplinary road and infrastructure projects.